Photo provided by Jarek Pokrzywnicki. Los Katíos National Park is known for its high biodiversity and high regional endemism. 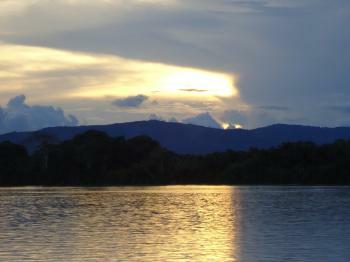 It lies in northwest Colombia and is contiguous to Darién National Park in Panama. Because of its location on the Darien isthmus, it filtered the interchange of flora and fauna between North and South America. Notable fauna species found in Los Katios include the giant anteater, tapir, jaguar, spectacled caiman and American manatee. More than 450 species of birds have been recorded. "To help mobilize international support for the preservation of the property which is threatened by, notably, deforestation in areas inside and around the property due to the illegal extraction of timber"
No road access: Only by boat via the Atrato river. Recommended for combination by AB: IUCN ev "The addition of Los Katios to the existing Darien National Park and World Heritage site will have several important benefits..... Los Katios should be added to the World Heritage List on the basis of criteria ii and iv and it should be inscribed as a transfrontier site with Panama's Darien National Park. " 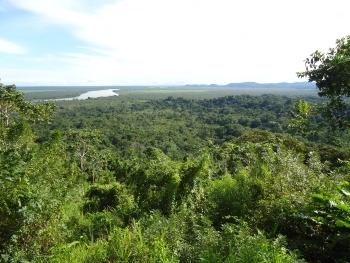 And the minuted decision: "The Committee inscribed this site, which adjoins Darien World Heritage site in Panama, and represents a rich biota comprising elements of both the North and the South America and is a centre of endemism for flora and fauna. The Committee commended both the Colombian and the Panamanian Governments for the bilateral cooperative management agreement and recommended that the two States Parties consider the inscription of the transfrontier site as a single entry on the List."